Getting money is always a challenge. Overcoming this challenge requires the right tools in hand. You can use your tools as colletaral for a cash loan, aka a tool loan, at Oro Express Mesa! A Tool Loan? Using tools in a loan? Yep! Think of it as a ‘tool loan’ in a sense. You are using the tools themselves as the collateral needed to get the cash you desire. And true to our standing as a pawn shop, we will offer you cash for your tools lent to us. You show us your tools, and as a result we show you the cash. 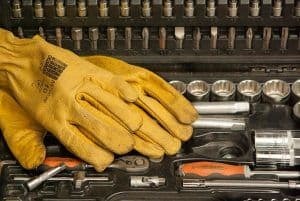 What tools do you accept for a tool loan? For the best loan-to-value, we recommend any power tools you’re willing to offer. Some of the brands we’ve seen grace our stores have been the big names: Stahl, DeWalt, Black and Decker, Hitachi, even Snap-on! This does not mean we only take the tools that run on power. Screwdriver sets, wrenches, and Tool Kits qualify in this loan. Keep in mind that these sets MUST be complete. If it’s missing even ONE of the parts, we will be turn it down. That, in turn, will make us sad. We want to give you money for your tools, rather than turn you away. How is your ‘tool loan’ different from a rental? Not to be confused with a loaning of tools (like a rental), we offer cash for when you bring your tools to us. This is essentially a pawn loan/cash loan. You would come to our store, present the tool to us and in conclusion, we would offer a loan for it. This loan is good for 90 days, as standard practice. Once you are ready to pay back the money lent, stop by the store. We will not hassle you for paying it early. If anything, it’ll put a smile on our faces that you are able to get back on financial track. Finally, we offer options to pay us back that works around your schedule. Stop by the store to find out more information. Is Oro Express the place to go for these types of loans? To conclude, the answer is yes. Oro Express Mesa is still a respected store for over ten years thanks to our loans. We offer loans to our customers in the hopes that our assistance will get them back on their feet. This allows us to serve many customers in Mesa over the years, and continue to do so. We also serve those in the cities of Tempe, Chandler, Phoenix and beyond.